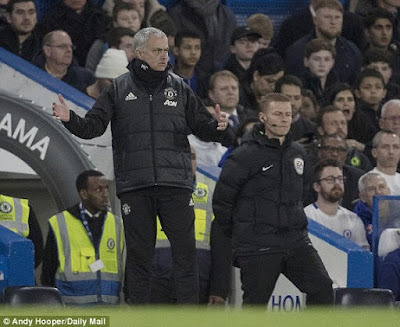 And once again, Jose Mourinho has been dealt another huge blow as he lost to Chelsea 1-0 in the FA cup on his second return to Stamford bridge since taking over the reins at Manchester United . 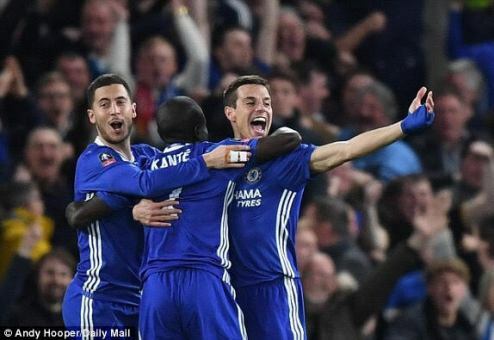 A quick fire goal from the most unlikeliest of sources- N'Golo Kante shot into the net from 25 yards beating David De Gea on the far right . United were without stars Zlatan Ibrahimovic , Wayne Rooney and Anthony Martial so opted to start with youngster Marcus Rashford upfront. Herrera was sent off for a foul on Hazard having been booked earlier leading Jose Mourinho and Antonio Conte to quarrel on the sidelines . 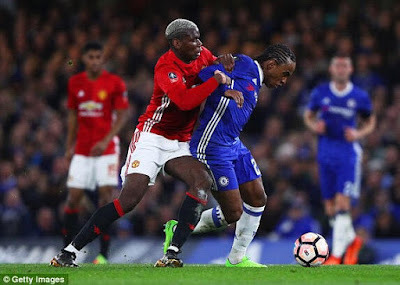 Mourinho's men hold out and avoid conceding more goals despite a Rashford effort that nearly gave them an equalizer . 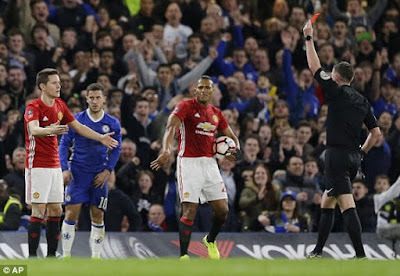 Chelsea fans buoyed by their imminent win of the game after the red card, finally attack Mourinho after he complains about a foul, by chanting ‘f*** off Mourinho’ and ‘It’s All Your Fault’, referring to his sack from Chelsea last season. He responded by gouging them all in the eye reminding them that he won them three title. Chelsea will now play Tottenham in the FA cup semi final while Arsenal will face Man city .